Vacuum pumps – the un-sung hero of home and industry – both practical and versatile all in one well designed piece of equipment. 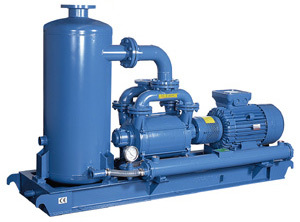 When it comes to pumps, vacuum pumps are utilised widely and are well respected in industry and retail simply due to their simple, practical form and countless functional aspects. Sewerage vacuum pumps are found more commonly than one might think, in the home as well industry. You would be forgiven for not realising how many vacuum pumps are silently going about their business in your home. Versatile and convenient, they are the perfect partner to assist with a wide variety of errands. Well-known areas where a vacuum pump is used range from air conditioners, electrical appliances to your everyday usage of your sewage system. A vacuum pump has the ability to pump solids, liquids and air out of one area and into another. Through its mechanical design it is able to displace the “object” away from where it is currently to where the operator would prefer, or require it to be, making the vacuum pump the most effective tool in a system based on transposition, such as any sewage system. The purpose of the sewage system is to remove the sewage waste from the point of origin and ensure that through a series of pipes and tanks, the waste is deposited in a central collection tank awaiting the point of discharge. Gravity and differential air pressure are no longer the heroes of the waste disposal system as they proves to be fatally flawed when faced with any incline, except when assisted by a force outside of itself. Which is where pumps take centre-stage. Since the invention of the vacuum pump and with their technological advances, engineering and construction industries have make use of vacuum pumps which have been seen to have the ability to apply their designs and used in previously untried areas. In the construction of a more modern sewage system the vacuum pump plays a significant role. Through their design, partnered with technological advances, vacuum pumps have become less expensive and therefore less costly when than gravity dependant sewage systems. 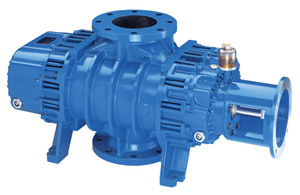 Pumps like Robuschi are so well constructed that they simply can last for a life time or longer, unless they are exposed to undue pressure on an on-going basis. Because they are simply near fail proof, there is far less impact on the environment which is especially relevant in these times, preserving residential, industrial and commercial locations and lowering maintenance costs. With radically reduced replacement and maintenance costs of your vacuum pump, combined with the astonishing various practical applications, contacting your local Robuschi Distributor, IBS, would undoubtedly be one of the best investments for your business needs. Choosing the correct equipment for your compressor needs can be a complicated exercise. IBS Industrial Blowers service the Industrial, Utility, Manufacturing, Road Tanker, Municipal and Commercial sectors of the market. So depending on your industry and your unique compression requirements, our customers would want to ask us to assist them in making the right choice. Which is what makes us stand out from the rest. Not only are we truly experts in our field but we are experts in your field as well. Take a minute while we compare your options for you. No matter what the market, the competition is steep out there. When you consider the Robuschi blower, you are safe in the knowledge that this piece of equipment has a long history of success providing pressure and vacuum solutions that always meet their customer exact requirements. Robuschi use state-of the –art design and technology to deliver an optimum range of blowers, vacuum pumps and screw compressors. This machine will increase the pressure of a fluid, perfect for construction or retrofit projects providing adequate pressure to upper floors or high rise buildings. IBS supply new Robuschi blowers, reconditioned and service exchange Robuschi blowers and provide a full service and maintenance service for Robuschi blowers. IBS hold the largest range of new, reconditioned and service exchange Siemens Turbomachinery HV Turbo Blowers in stock ready for immediate dispatch which means no waiting and as little down time as possible for our clients. IBS knows that industry is heavily dependent on the efficient operation of your Siemens Vacuum Pumps so this is of utmost importance to us that we are able to provide solutions quickly and effectively in a cost efficient way. We aim to respond within 4 hours based on distances up to 100 mile radius from our nearest available engineer. As with the Siemens blowers, we are extremely proud of our range of Zepher blowers and highly recommend them for no job too small or too large. Our staff are always at hand to assist you with your blower choices. The technical aspect is something that we training all technical staff members on and so we know that you will be given the best possible advice at all times. Our staff understands when customers require technical solutions with a restraint on their budgets and therefore who do not have access to obtaining new equipment. And this we can assure all customers that because the reconditioned equipment is expertly executed, you will find that buying reconditioned machines doesn’t mean that the quality suffers. In fact we would go far as to say that they almost as good as new, just without the prices tag. But don’t just take our word for it, please come through and have a look at the stock that we have on-site to compare for yourself. Our assembly area has the capacity to build machines weighing up to 2 tonnes, and restore a blower to 99.5% of its original volume flow rate performance. We carry a large stock and if there is something that you want that we may not currently have, then we can get it for you.